Change isn’t easy, but sometimes undergoing tremendous change can be the difference between a successful business and a failing one. In just six months, Aspect Software, which specializes in contact center solutions for global Fortune 100 enterprises, went from outmoded, manual and very inefficient business processes to a distributed environment where true integration automated processes, improved data quality, enabled deeper reporting and ultimately, transformed Aspect into a modern, more competitive business. Stefanie Causey was hired at Aspect as Director of IS Solution Delivery to manage the massive project of moving from the Oracle EBS platform to a distributed environment using Salesforce and Apttus for quoting, NetSuite for ERP and SuccessFactors for HRIS. But thanks to Causey’s steady hand and the decision to use Jitterbit as their integration platform as a service —just six months later—Aspect went live with a totally scrubbed Salesforce Sales Cloud with Apttus CPQ and CLM fully integrated to their brand new NetSuite environment. Sales Cloud is used to manage opportunities, quotes and forecasts; all approvals are automated and tracked within Apttus; and NetSuite handles billing and fulfillment information. Jitterbit seamlessly connects and transforms accounts, opportunities and quotes from Salesforce into customer and sales order data in NetSuite. Once an order is fulfilled, Jitterbit connects that data back to Salesforce and automatically creates Service Cloud assets and the next renewal opportunity for renewable maintenance. The new system is real time and transaction based. “There was no science to it; it was all manual, time consuming and difficult,” Causey said. Most importantly, they didn’t have any way to reconcile forecast and bookings to revenue. The finance and sales teams weren’t the only ones suffering under the manual process. The service organization had a hard time knowing what quotes turned into serviceable assets. “Many times, we didn’t even know what our customers had,” Causey said. With a fully connected CPQ and CRM, the finance team has a window into the whole process, the sales team has much faster quote turnaround and the service team knows exactly what products customers purchased. Before the cloud project and integration, Aspect didn’t have the ability to effectively report on what was forecasted, what was booked and what that became revenue-wise. Now, through integration and APIs, they can reconcile bookings to revenue. Syncing product masters between NetSuite and Salesforce ensures that sales people aren’t selling things that didn’t exist. Plus, applying matrix pricing to bill customers was incredibly challenging, because there wasn’t a way to capture all of the complex usage data from cloud applications and move it to NetSuite, Aspect’s system of record. Now, through APIs, they can not only capture and move the data, they can also automatically and accurately invoice customers on time every month, while reducing errors. Automation has removed manual data entry, which caused many data quality issues. 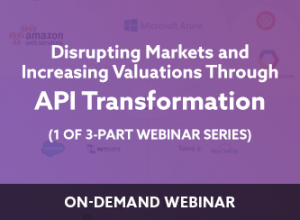 As Causey stated, “Jitterbit is the data movement and transformation engine that has eliminated a lot of data quality issues we had.” This means that even though Aspect started with really bad asset data, by January 2017, they will have a fully scrubbed asset base; they will know exactly what their customers have—and it’s all automated. Perhaps the biggest business transformation, the change that was the hardest, was pushing an “antiquated IT department into the future, shifting toward solving business problems instead of worrying about a development specialty in a particular technology and pushing the idea of a cloud-first strategy,” according to Causey. 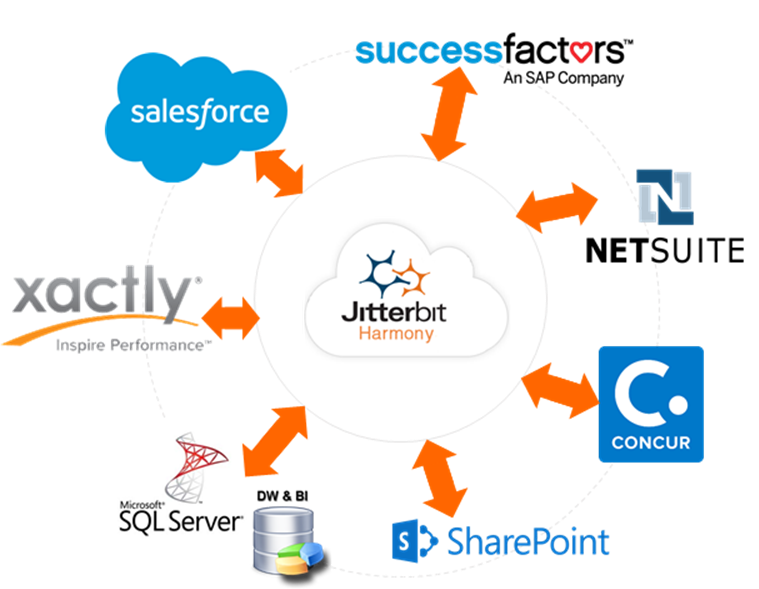 The true integration facilitated by Jitterbit brought about huge business transformations, including moving to flexible, more scalable cloud solutions; significantly reducing friction and errors in the sales process; creating better, more accurate reporting; and setting Aspect up to be more competitive both now and in the future. Speaking of the future, Causey explained how Aspect is planning to incorporate Jitterbit’s real-time APIs to take their products to the next level. Aspect’s contact center, self-service and workforce solutions work together to deliver better outcomes for those on either side of the conversation.